The Big Bear Grizzly, Big Bear Valley's only newspaper, has served its readers since 1941. Published each Wednesday, the Grizzly is a legally adjudicated newspaper for the County of San Bernardino and the City of Big Bear Lake. 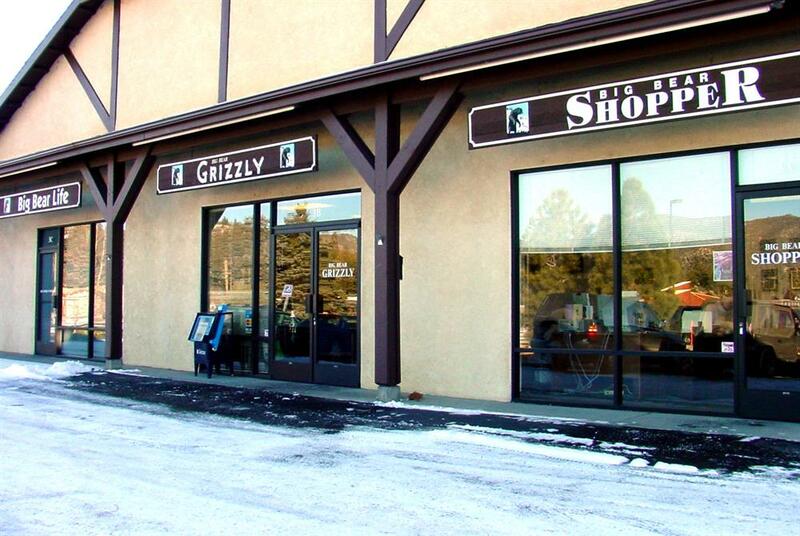 A paid circulation newspaper the Grizzly is distributed to subscribers by mail every Wednesday and also sold at many news rack and vendor locations throughout the Big Bear Valley. The Big Bear Grizzly, "The Media of the Mountain". In addition to the Grizzly we also publish the free Grizzly Weekender each Saturday, which is home delivered to most areas of the valley and available at many free news rack locations throughout the valley. The Grizzly Weekender, "It's What's Happening In Big Bear". The Big Bear Shopper is published each Thursday. This popular shopping guide is loaded with values and is distributed free at more than 200 locations throughout the Big Bear Valley. The Big Bear Shopper, "Big Bear's Best Read Shopping News". Each year the Grizzly also publishes several special editions of topical interest for our readers and advertisers.